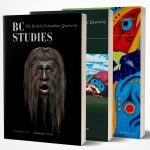 As we mark the 100th anniversary of the outbreak of the First World War, this issue of BC Studies examines the conflict’s impact on Canada’s “Pacific Province.” Though far removed from the fighting, British Columbia was forever changed by its experiences of the war of 1914-18. In this issue, readers will rediscover the First World War and its effect on British Columbia’s people, both soliders and civilians, as well as its politics, industries, poetry, and memory. Chris Madsen is a Professor in the Department of Defence Studies at the Canadian Forces College and Royal Military College of Canada in Toronto, where he teaches senior and mid-rank military officers in the area of military operations and planning. During sabbatical leave 2014-2015, he is a visiting scholar in the Urban Studies Program at Simon Fraser University, contributing to a SSHRC community partnership project involving the City of New Westminster and the International Longshore and Warehouse Union Local 502. His research interests are naval procurement and logistics, shipbuilding, military law, and port activity on the Fraser River. Peter Moogk is a Professor Emeritus of the UBC Department of History and is best known for his publications on the social history of early French Canada. His other interests encompass the history of currency, American Loyalists, and Canadian military history. He is currently the curator-archivist of the 15th Field Artillery Regiment, RCA, Museum in Vancouver and is working on an anthology of the lives of Loyalist descendants in British Columbia. Wayne Norton is a British Columbian historian and author with a master’s degree in Canadian history from UBC (1988). He has written extensively on the history of Kamloops and Fernie. His most recent books are Kamloops History: Fictions, Facts and Fragments (Plateau Press, 2006) and Women on Ice: The Early Years of Women’s Hockey in Western Canada (Ronsdale Press, 2009). He is also author of an article on the neglected history of the World War One internment camp at Fernie /Morrissey. See “Communities Divided” in The Forgotten Side of the Border (Plateau Press, 1998). Wayne lives in Victoria. Sandi (Sauer) Ratch received her master’s degree in Archaeology from Simon Fraser University in 1995. She currently lives in Wetaskiwin, Alberta, about 45 minutes south of Edmonton. Her part-time work includes research, writing, and graphics from her home office doing both heritage and archaeological consulting for various clients. “Do Your Little Bit” was the result of research spurred by a collection of historic postcards collected and kept by family. http://sandiratch.blogspot.ca/p/ historic-research-g.html. Megan Robertson is a doctoral candidate in the School of Communication at Simon Fraser University. She completed her master’s degree at UBC in English Literature where her thesis focused on representations of the Great War in contemporary Canadian literature. Her current research interests include cultural memory, vernacular photography, and digital heritage. Daniel Schade has earned undergraduate degrees in both history and political science at the University of Victoria and is currently a regular force officer in the Royal Canadian Air Force. Jim Wood has taught at several post-secondary institutions, including Trent University, the Royal Military College of Canada, UBC Okanagan, and the University of Victoria. In addition to articles published in Canadian Military History, The Journal of Military History, The American Review of Canadian Studies, and BC Studies his book publications include We Move Only Forward: Canada, the United States, and the First Special Service Force, 1942-44 (2006) and Militia Myths: Ideas of the Canadian Citizen Soldier, 1896-1921 (UBC Press, 2010). He currently teaches history at Kwantlen Polytechnic University and Okanagan College.